Príncipe contains many unique tree species, but incomplete knowledge of the species present and the threats facing them is limiting effective protection. Create an accurate catalogue of Príncipe Island’s tree species and train local NGO and forest guide staff to survey, identify, and assess the conservation status of tree species. Sculpted from 31 million year-old volcanic rock, Príncipe Island’s tiny landmass of 142 km2 is a cradle of incomparable biodiversity and is home to scores of endemic species, many of which are still unknown to us. This island nation sits in the Gulf of Guinea and forms part of the São Tomé and Príncipe archipelago. Its southern lowland tropical rainforest, nestled in the centre of Príncipe Natural Park, is dominated by trees believed to be more than 200 years old. As such, these forests comprise the second most important area for conservation in Africa and sit amongst the top 200 important biodiversity areas in the world. These remote rainforests have seen a surge of human threats, in particular wood harvesting for charcoal and kindling and excessive seed collection. The general lack of scientific knowledge about the diversity of forest plants, do nothing to help the situation. Without understanding Príncipe’s tree diversity it is impossible to identify which areas of forest and which species are in most need of interventions such as conservation rapid assessments, to ensure that we do not lose species before we are even aware of them. Thirteen people from local institutions (Príncipe Natural Park, Forest Regional Direction, Local Tourist guides Association, Traditional Healers Association, the Bom Sucesso Botanical Garden, and São Tomé National Herbarium) have been trained in botanical identification and field survey techniques. Two years of research efforts on Príncipe have transformed our knowledge of this tiny island’s diverse flora, bringing the total of known plant species to 415. These surveys are the biggest joint plant research effort to have ever been undertaken on Príncipe and led to 45 new records for the island, including eight species that are new to science. Based on preliminary analyses, 29 species are rare, endemic, or new to science, and at least seven of these are proposed as threatened based on IUCN Red List Criteria. 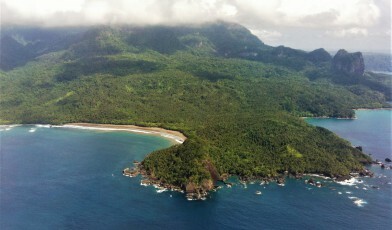 Overall, the surveys identified the most important habitats for conservation on the island; the ancient coastal lowland ecosystem in the south, and also the sub montane forest of Pico do Príncipe, which possesses unique flora and many species which are still yet to be identified. See our News & Blogs to keep up to date with project developments. One species of rhododendron (R. kanehirae) would be extinct if were not for collections made by botanic gardens. 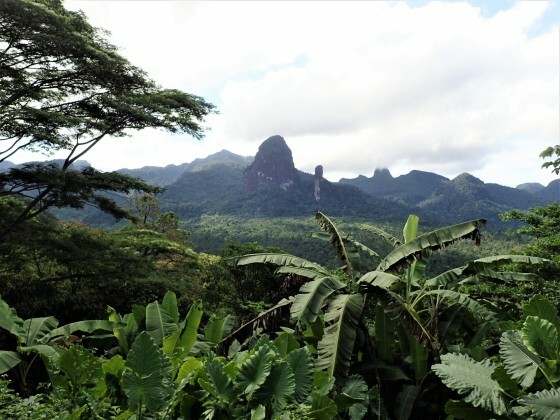 In addition to discovering the incredible biodiversity of Príncipe with this project, we are building a local team of botanical enthusiasts, technicians, traditional doctors and tourist guides prepared to collect material, monitor species and establish the first herbarium and orchidarium at the National Park office. 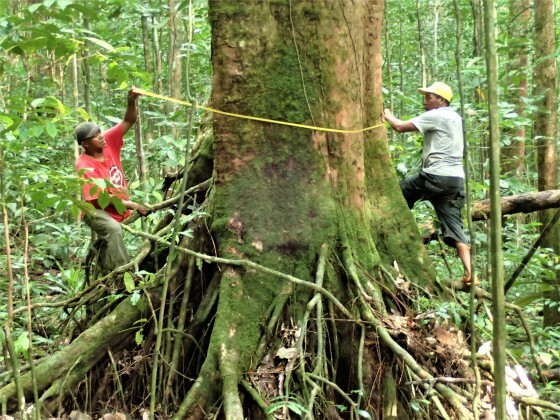 In two years, our partners helped us establish an international network of taxonomists in four different countries, willing to identify the Príncipe's flora, which allows us to estimate that we currently know 25% of its forest biodiversity. It is exciting to think that there is still so much to discover, but with the tools we have already created we can contribute to the conservation of these rare species and their habitats bringing them to the eyes of the world. The Global Trees Campaign is a partnership between Fauna & Flora International and Botanic Gardens Conservation International. Copyright 2017 Global Trees Campaign.